During the stay at Ombak Kapas, we went for squid jigging (candat sotong) after 5pm, this is one of the most popular activities offers by Ombak Kapas. cruise for an hour in a fishing boat heading to middle of the ocean, This is due to the abundant of squids in the sea of Terengganu from the month of March until September, with the peak month normally in May. The boat leaves Ombak Kapas Resort around 5 p.m in the evening, and depending on the guest, the fishing period can be until 10p.m, or even extended until 6.am in the morning. The jigging equipment will be provided when you rent the boat, and depending on the sea situation, the fishing location can be changed every night to find the area with the most squids. Meal box provided as dinner on the boat The most challenging part is not 'catching' the squids, but rather withstanding the 'sea sickness' and avoid getting headache or vomiting, which will definitely ruin the fishing experience. Kapas Island is an island off Marang in Terengganu, Malaysia. Pulau Kapas means Cotton Island, a name given to it by locals, due to its soft white beaches. 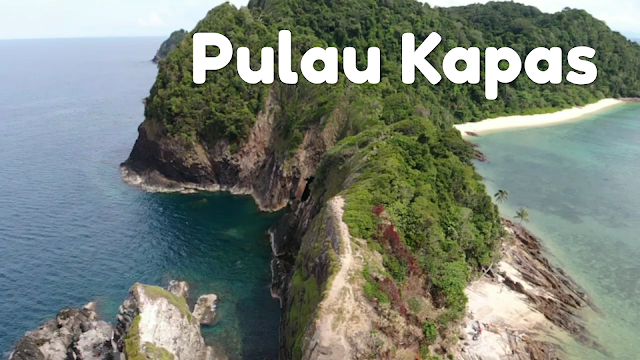 Kapas is a designated marine park its white-sand beaches are some of the cleanest in Malaysia, and the aquamarine waters are ideal for sea kayaking and snorkeling. Kapas Island is situated offshore about 30 minutes by slow boat or 10 minutes by fast boat from Marang jetty, 20 minutes south of Kuala Terengganu. Relatively isolated from the hustle and bustle of the mainland, this island is the perfect getaway for those looking for some blissful relaxation. Marang Jetty provides ample secured parking lots for RM7 per day.